To spend more time on opportunities that will make your business thrive? Fewer responsibilities demanding your immediate attention? To expand into another market, business or career? More time away from the business? The freedom to develop your professional or personal capabilities through outside learning opportunities? 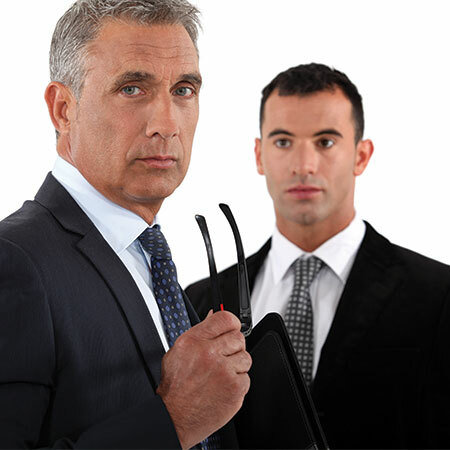 A typical general manager position description might be: Fabricare General Manager. This position is responsible for managing and developing the company revenues, profits, processes, personnel, production, and physical and financial assets through his/her personal efforts and the efforts of direct reports. Always the focus is on the short- and long-term goals of the company as well as quality and service levels. The GM will be responsible for making necessary changes to the company’s current methods to optimize competitive advantage. Achieve annual sales and profit goals as recommended to and adopted by owner. Create and implement a plan to increase profitable sales volume by ___% in ___ months on same-store and route sales (excluding acquisition sales) as well as adding an additional ___% through direct outside sales. Create, implement and manage adherence to a budget, making relevant dynamic adjustments as needed. Monitor monthly financial reports to make relevant adjustments to operations to achieve goal operating profit. Create, implement, and manage external sales and marketing to target businesses, institutions and community in conjunction with sales representatives to add ___% to current sales volume. Create and implement a plan to develop professional community relationships and partnerships and to enhance company influence in the target market. Identify and recommend potential acquisitions that will add profitable sales through consolidating expenses and taking advantage of economies of scale. Interact with and manage outside resources that aid in goal attainment, i.e. mystery shopping service, peer management groups, special focus consultants and marketing professionals. Conduct weekly sales meetings and status recap with outside sales team. Conduct weekly customer service status reviews for enhancement. Conduct weekly quality, maintenance, efficiency and staffing review with the production manager and/or staff. Hold biweekly meetings with all direct reports and entire staff quarterly. Create and manage the marketing plan. Present investment and growth opportunities to the owner with expected ROI. Make equipment purchase and/or upgrade recommendations. Recommend new locations or reduction in locations supported by thorough strategic and financial analysis. Attend board of directors meetings as needed. Track key performance indicators and continually improve performance. Hire and fire with the assistance of HR and relevant manager. Maintain clear, current, updated documentation of all positions and training manuals. Maintain and share current processes and procedures documents and ensure compliance. Manage pricing and make appropriate adjustments. Oversee any acquisitions and facilities remodels. Manage accounts receivables for current collections. Complete annual performance reviews for all direct reports. Proven history of profitable sales increases. Problem analysis and solving ability. Goal achievement and results orientation. Technical proficiency in computer programs, including at least Word, Excel and Outlook. Proven track record of profitable sales increases in a service business. Demonstrated leadership experience with at least ____ direct and/or indirect subordinates. Bachelor’s degree, preferably in a business field. Valid driver’s license with automobile insurance. One personal and three professional references. This description may sound overly complex, however, the general manager is exactly that — a manager over operations. The GM is the owner’s substitute. There is always an issue of whether an expenditure is judicious with an appropriate return on investment. Take into consideration how effectively all the above duties are being handled currently. Do you have time to successfully manage every part of the business? Do you have more than eight people reporting directly to you? If there was a more disciplined focus on profit, sales, productivity and customer outreach, how much could the financial result improve? If you had time to think about opportunities for your business and to plan for the future, would your business respond favorably? Conversely, would you be willing to trade a portion of your compensation for more freedom over your time and activities? Do you see value in having a skilled colleague to help you take the business to a higher level? You may find that the answer to your questions and to your dreams could be a capable general manager.